Suzanne Rosselet is the Founder of Global Competitiveness Consulting, specializing in issues of national/corporate competitiveness, sustainable economic development and strategic investment for global companies. She is a guest professor at the University of Lausanne, Switzerland and for the Sino-Swiss Management Training Program for Sustainable Development in China. 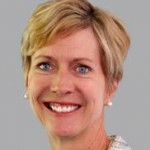 Suzanne is also a member of the Duke Corporate Education Global Learning Resource Network. Her main areas of expertise include the identification and assessment of country strengths and weaknesses; the determination of national competitive strategies to enhance growth and social development; global trends; and helping executives understand the challenges they face in today’s rapidly changing global landscape. She has published extensively on these themes. Previously, at IMD Business School in Switzerland, Suzanne was Deputy Director of the World Competitiveness Center (WCC) and co-author of the IMD World Competitiveness Yearbook (WCY) from 2001 to 2012. Prior to IMD, Suzanne was a Professor at Business School Lausanne in Switzerland. Suzanne received a B.S. in Economics from Stanford University, CA. She was a Post-Graduate Fellow at H.E.C., University of Lausanne, Switzerland, and holds a doctorate from the Geneva School of Diplomacy. She can be contacted at srosselet@global-competitiveness.com.